As we have already told you, the Redmi Note 5 handset launched in China comes under the name of Redmi Note 5 Pro in India. Explain that there is no change in the specification of new variants except for color. RAM has two options – 4 GB or 6 GB. There is also a 5.99 inch full-HD + (1080×2160 pixels) display. The screen is of 18: 9 aspect ratio. The fingerprint sensor is also on the back part in this handset. Xiaomi Redmi Note 5 Pro has dual rear camera setup. On the back side is the primary camera of 12-megapixel f / 2.2 aperture. With it, there is a 5-megapixel sensor with F/2.0 aperture present in Jugalbandi. LED flash module with dual rear camera setup has been given. There is a 20-megapixel Sony 376 sensor on the front panel. Dual SIM Shoomi Redmi Note 5 Pro runs on MUI 9 based on Android Noaga. Snapdragon 636 processor with 1.8 GHz, works to accelerate the phone. Adreno 509 GPU for graphics is integrated. 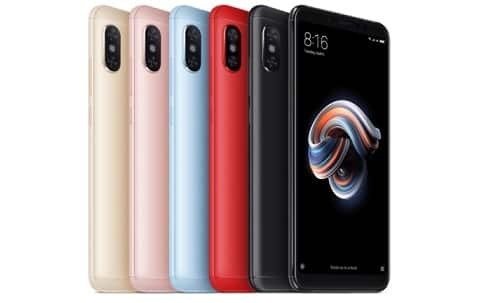 There is a storage 64 GB in both variants of Xiaomi Redmi Note 5 Pro and it is possible to use MicroSD card even when it is necessary.